Courtesy photo U.S. Forest Service. Before it was removed last year, this pavilion in Little Cottonwood Canyon was a favorite venue for taggers who covered it and surrounding granite boulders with graffiti. Community groups are coming together to address the vandalism and litter plaguing the natural and historic area at the mouth of the scenic canyon where Salt Lake County residents get their drinking water and enjoy nature. 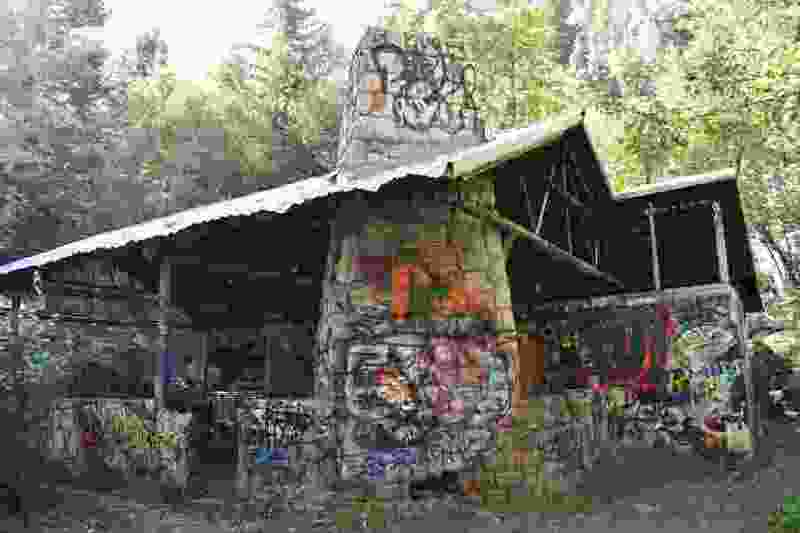 To address the plague of graffiti in Little Cottonwood Canyon, one group has drafted a plan to reclaim damaged sites and prevent future vandalism. The Cottonwood Canyons Foundation will host a public meeting Thursday to explain the severity of the problem and share its plan, which calls for beefed-up law enforcement, stiffer penalties for perpetrators, aggressive graffiti removal and limiting youths’ access to spray paint. The presentation will include a West Valley City gang detective who will describe the role of graffiti in gang culture and how the tagging is a worse crime than mild vandalism, even though it is not punished severely. Graffiti in Little Cottonwood not only disrupts visitors’ experience of nature, but it also imperils the supply of Salt Lake City’s water. Ground zero for tagging is the boulder-strewn area surrounding an old pavilion in the lower canyon upstream from the Temple Quarry Trail. A graffiti magnet, the pavilion was removed last year and nearby rocks scrubbed clean, but problems persist and taggers have spread into the rock fields above. The foundation is seeking to raise $25,000 to implement its graffiti plan through a GoFundMe page. It proposes to disrupt access to one graffiti-infested area by fencing off, at a cost of $10,000, a pipeline vandals use to cross Little Cottonwood Creek to reach the former pavilion site. The group also wants to revegetate the patch left bare by the pavilion’s removal. Thursday’s meeting is set for 7 p.m. at Sandy City Hall, 10000 S. Centennial Parkway.